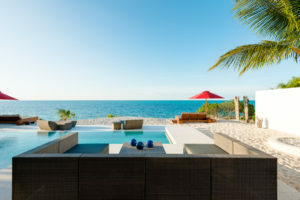 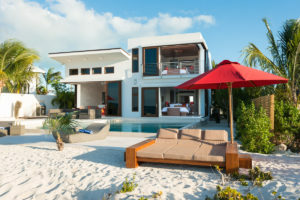 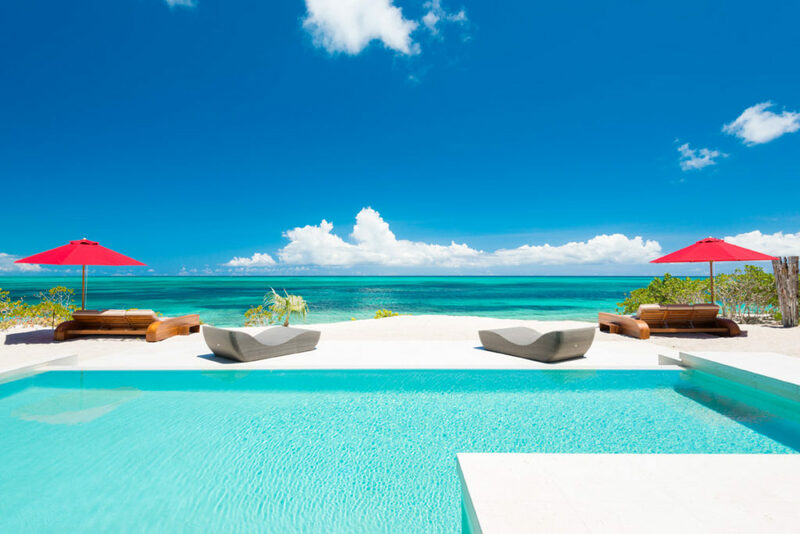 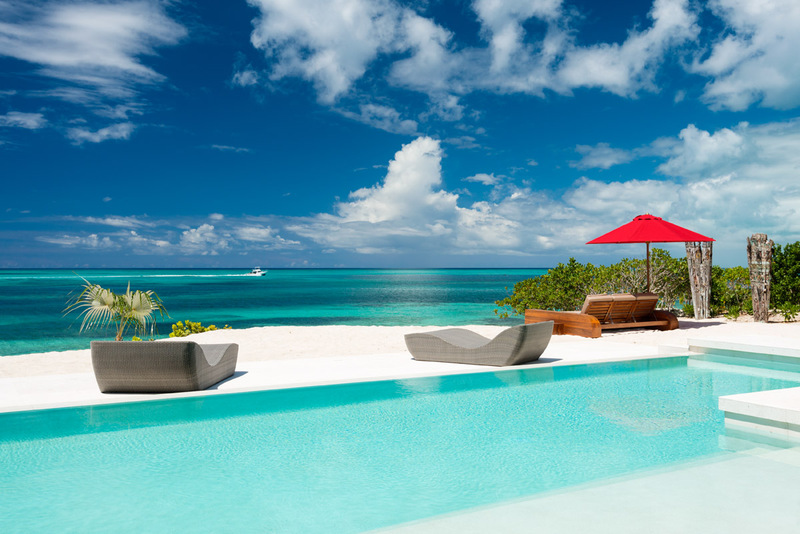 Overlooking the Turks & Caicos Island’s pristine reefs of Princess Alexandria National Marine Park, Beach Kandi’s powder-sand front yard on Grace Bay Beach provides a direct footpath from its aquamarine, beach-entry, infinity pool to Smith’s Reef – a snorkeler’s paradise in Providenciales. 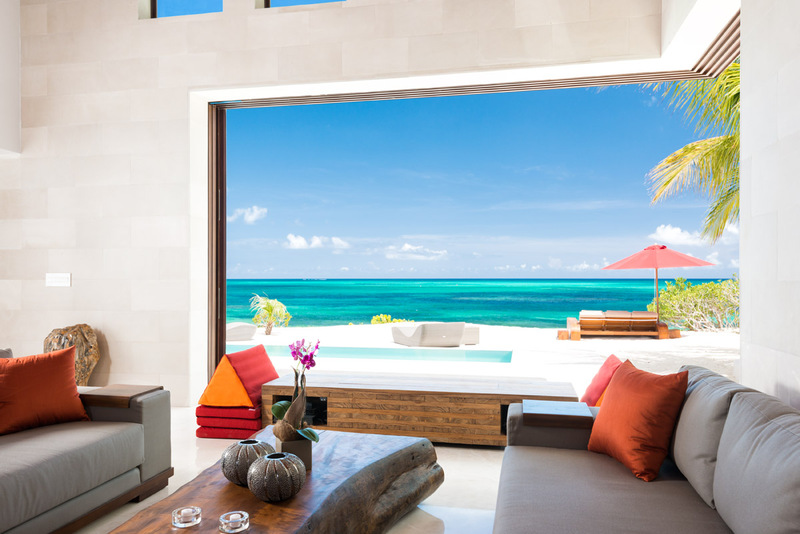 Blending in with the surrounding ocean landscape, the design of Beach Kandi is completely integrated with the architecture, seamlessly flowing from inside to outside, enhanced by 10-foot sliding glass walls inviting the gentle sea breeze to circulate freely throughout the entire villa. 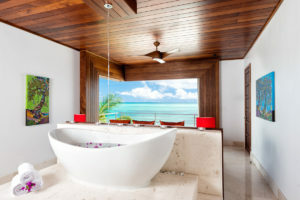 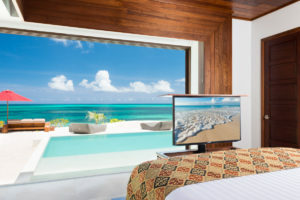 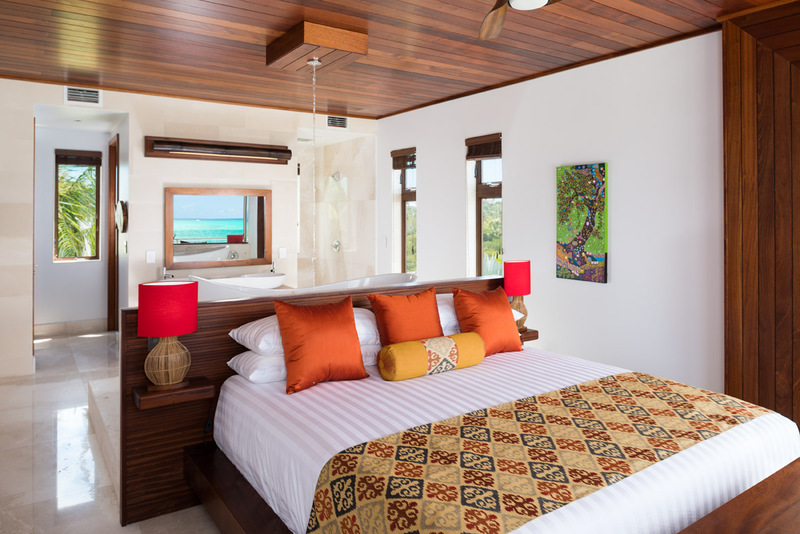 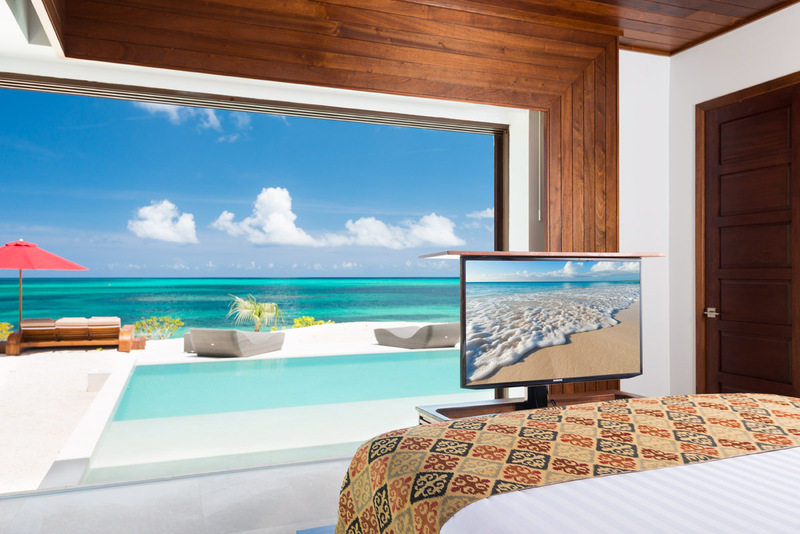 Two elegant master bedrooms, both with uninterrupted panoramic ocean and sunset views offer contemporary living at its finest, subtly infused with the essence of the tropics and understated elegance of the Orient. 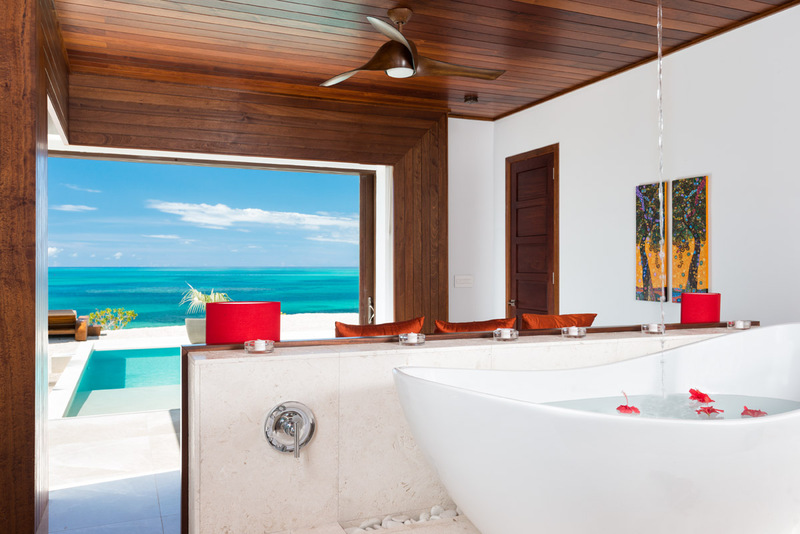 Exceedingly well designed, each provocative room is an exquisite example of space and privacy in perfect harmony. 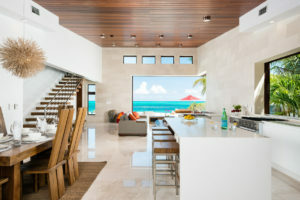 Chic living areas are made all the more captivating by oversized bathtubs, grand Kohler water tile shower rooms, exotic tropical wood ceilings, Italian marble floors, sleek gourmet kitchen with European cabinetry, custom furniture and antiquities sourced from some of the world’s most beautiful and mysterious islands. 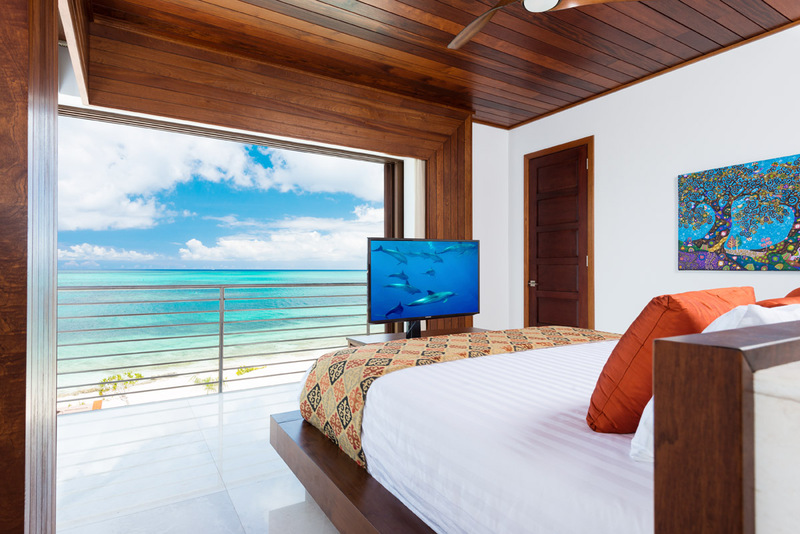 Amongst a small, charming community of exclusive beach villas, Beach Kandi is within walking distance to restaurants and shops, the Caicos Casino and Turtle Cove Marina—home to many popular ocean excursions & tourist attractions. 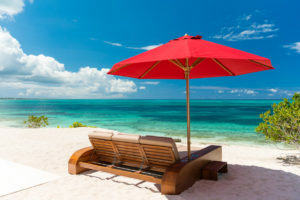 Furthermore, Beach Kandi is only a 10-minute drive to the airport, 5-minute drive to the tennis clubs and10 minutes to the golf club. 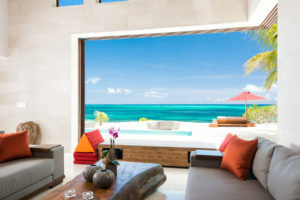 Beach Kandi is conceptualized for the most meticulous, upscale traveller wishing for the ultimate luxury beach lifestyle. 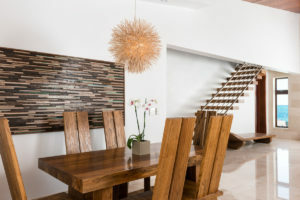 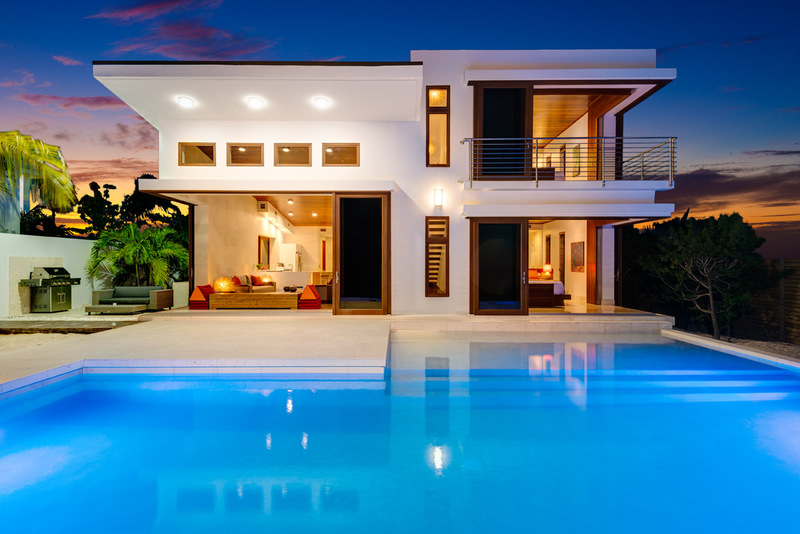 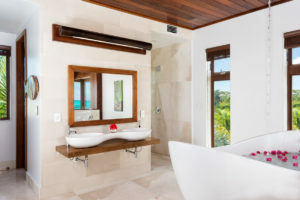 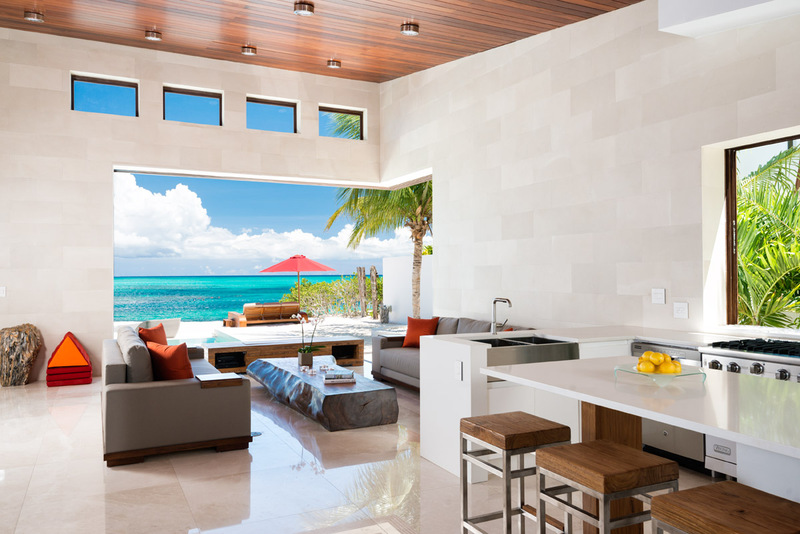 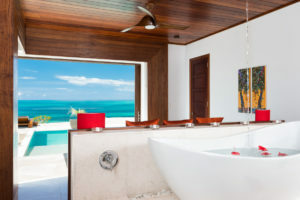 For those in search of an inspiring and elegant, private villa directly on Grace Bay Beach, this exquisite villa is the perfect oasis for cherished celebrations, family holidays, romantic getaways and adventurous retreats.